So, I have always been a bit of an idealist. Raised on Disney movies, and believing that the guy in the white hat wins in the end, and true love is forever, you know Prince Charming and Cinderella kind of stuff. Well, I am getting older and watch too much of the news and am becoming more cynical. I see too many marriages and relationships ending in affairs and divorce. And have come to accept that this is as a not so pleasant reality. 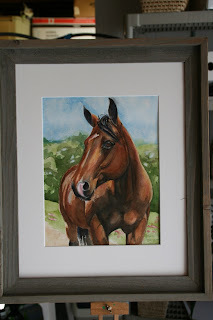 So.....when a friend asked me to paint her husbands horse as a surprise for his birthday, I was touched. What a very thoughtful thing to do, she secretly sent me pictures of his horse and we got it done, with out him knowing a thing. 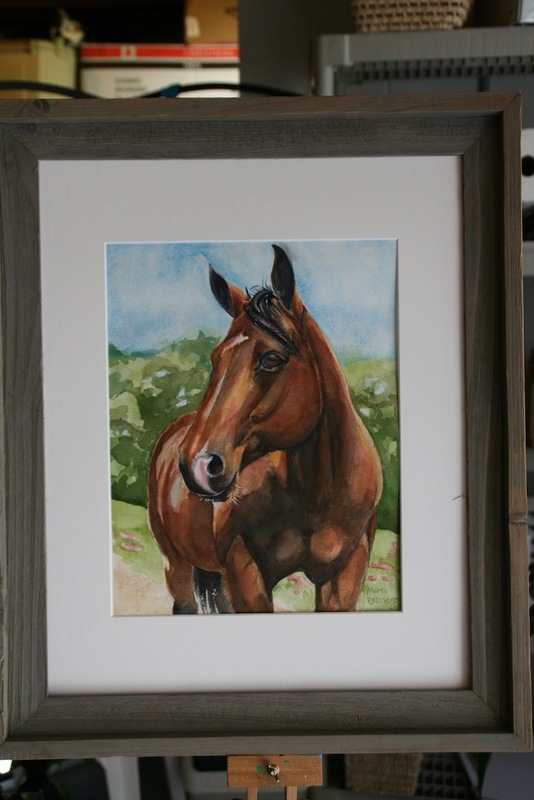 The real kicker came, when the husband, about two weeks before he was to receive his portrait, asked me to paint a portrait of his wife's horse for their anniversary present! (I was to keep this a secret so it would be a surprise for her). Now, honestly, I stink at keeping secrets, I was kind of nervous that I might slip up here, so I had to be very quiet around the two, and not ruin this wonderful secret gift giving! So, here they are, the portraits of two wonderful horses, lucky enough to be owned by two wonderful, thoughtful people. The kind of fairy tale ending that I prefer. What an uplifting, romantic story! Both paintings are beautiful! Those paintings are beautiful! And what a fantastic story. :))) I'm an idealist too. Maria, they are wonderful. And I love the fairy tale ending!!! You just brightened my day. Thank you Judy, Crystal and Kathryn, I will be a believer in happy endings for a while longer I think! 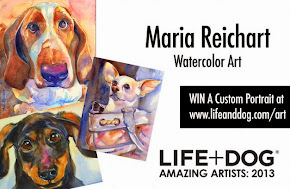 Two beautiful paintings, and what perfect gifts! Theresa, I wish I could think of something so wonderful for my hubby's birthday, I usually get him socks.....t shirts...I need to be more romantic!